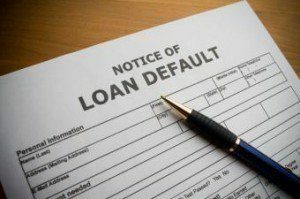 Default servicers are expecting increased delinquencies in their Federal Housing Administration (FHA) loan portfolios in 2019, according to the annual Altisource  2018 Default Servicers Survey, released on Tuesday. The reason, the survey revealed, was due to the increase in the size of FHA loan portfolios. The online survey of 200 professionals from across the mortgage default servicing industry indicated that 86 percent of the respondents reported that their organization currently services FHA loans, with 72 percent of these respondents expecting an increase in this particular loan portfolio over the next 12 to 24 months, In fact, 77 percent of these respondents expect their FHA loan portfolio volume to increase by as much as 25 percent. However, servicers said that they encountered difficulties while identifying effective vendors for foreclosure/trustee auction services. Fifty-seven percent of the servicers surveyed said that the current data analytics and modeling within their FHA loans-related Claims Without Conveyance of Title (CWCOT) program management could be better. Among servicers managing FHA loan portfolios, 73 percent said they were using third-party vendors as part of their CWCOT program management. While choosing these vendors, 95 percent stressed on performance as the most important factor in choosing a CWCOT auction vendor, followed by end-to-end capabilities/outside services outside of auction (91 percent), access to broker network (90 percent), access to data and analytics (90 percent) and marketing content and online presence as well as coverage (89 percent). While servicers said that they were using multiple vendors for their servicing needs today, they were also looking at consolidation opportunities in their vendor base in an environment of reduced default volumes, the survey revealed. An increasing number of servicers were open to considering a single-vendor approach for multiple services provided by them, the survey indicated. While 90 percent of the respondents said they were "very" or "somewhat" likely to consider such an approach, more than two-thirds of the respondents said the consistency and efficiency in managing the lifecycle of default/distressed properties were "very important" to them while selecting a single-vendor approach. Some of the other reasons cited by servicers for adopting a single vendor approach included compliance management (68 percent), access to data and analytics to support portfolio decisions (58 percent), stronger point-of-contact relationships (57 percent), and streamlined costs (56 percent). Looking at the attributes that servicers wanted in their single vendor, the survey indicated that 93 percent considered end-to-end default disposition capabilities and REO asset management very or somewhat important when choosing a vendor for managing their default portfolio. Click here  to read the full survey.